Today was apparently the "lull" day? 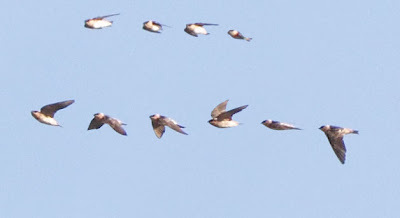 Birded at various times with Dave Don, Barb Charlton, Ken-tucky, Peter Burke, Ross Wood, Kevin McLaughlin and a few others! Oh, don't let it be over, let it be over, oh. Phase 4 is when we get the centre of the storm to pass over Ontario... And hopefully we get some of the warm weather birds being reported like Oystercatcher, Royal Tern, Skimmer - and maybe some Shearwaters? Maybe some BC Petrels or Sooty Terns?! 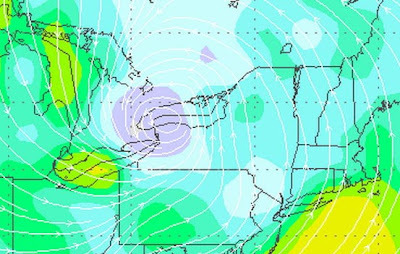 There are rarities everywhere, the track of the storm is over Lake ERIE now and ALSO lake Ontario!! 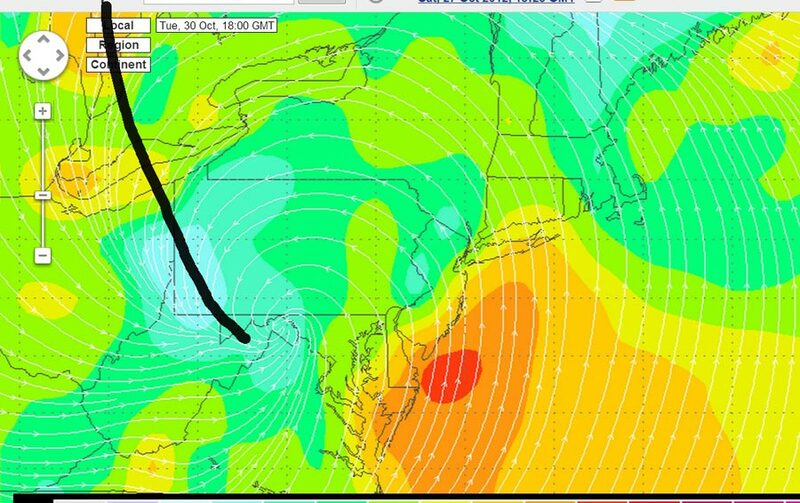 Maybe focus on onshore winds, but who really knows?? Maybe Lake Erie will get the real tropical stuff? 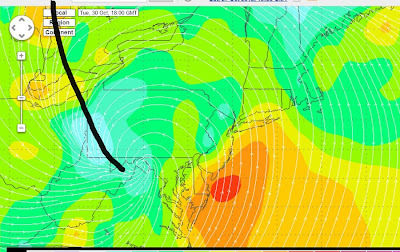 Or maybe they'll come to the east of the storm and Lake Ontario will continue to be the hotspot?! Bird is the word! Long Point East, The river, inland spots to Lake Ontario - ALL of Lake Ontario and eastern Ontario too!!!!! I edited it a bit to reflect some of my personal sightings etc... but many thanks to her for putting together the post for us! What a day!!!! 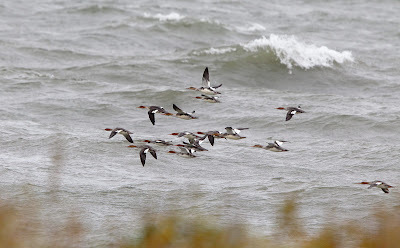 Today was, very simply, an unprecedented day of birding at Van Wagner's Beach in Hamilton! The dozen or so birders that spent approximately 10 hours at Hutch's today (some who arrived pre-dawn) felt an Ontbirds post, in summary of such an outstanding day, was warranted. 1 Long-tailed Jaeger ---- 3 Jaeger day! 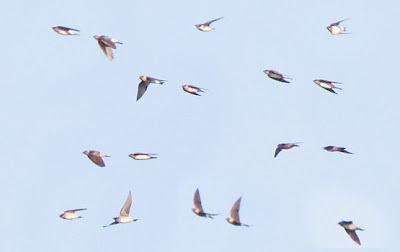 There were also quite a number of birders at Lakeland Centre, further down the beach from Hutch's, who had a similarly exciting day seeing the Storm-Petrels, as well as the staggering number of Kittiwakes, Jaegers etc. All in all, an absolutely amazing day of birding in the Hamilton Study Area that none of us will soon forget! 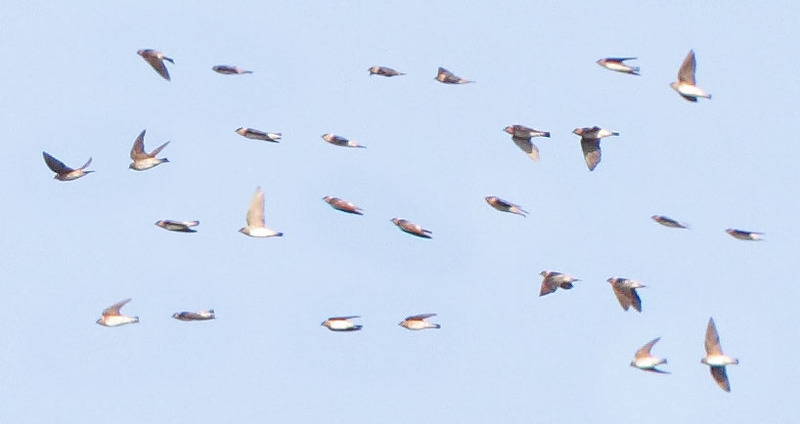 We can only hope that the next few days and weeks hold even more excitement for Ontario's birders!! Birds get points for two things - rarity, and my feelings on their likeliness to occur ,, to create a top 10! 8. Northern Gannet --- coming down the St. Lawrence please! 6. Sooty Tern --- one of the "classic" Hurricane birds, hopefully we can get lucky and get a few! 4. Royal Tern --- Hitting places that still have Royal Terns on the east coast... Maybe a hard one to displace, but I still want it! Be careful out there, and hopefully everyone is alright in the affected areas... I had to go for a short drive last night and ran into downed signs and trees along the way. Ain't that a thing of beauty?? Lake Ontario eastwards.... Ottawa area and the St. Lawrence river! James Bay goodies ---- Fulmar?? Gyrfalcon??? Red Phals? East Coast Goodies - Kittiwakes? Great Cormorant? Dovekies? Gannet? Razorbill? 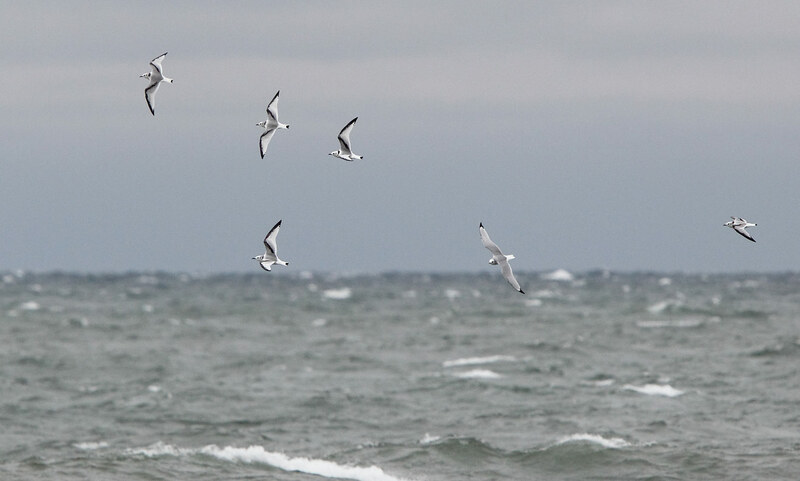 Manx Shearwater? 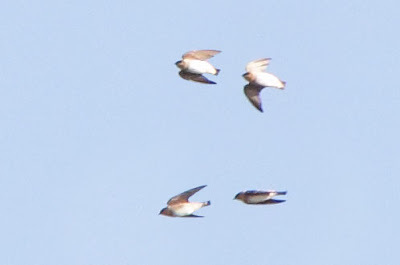 Leach's Storm Petrel??? Remember the phases from an earlier post? WHAT da HECK?! Sandy making landfall!!!!!! 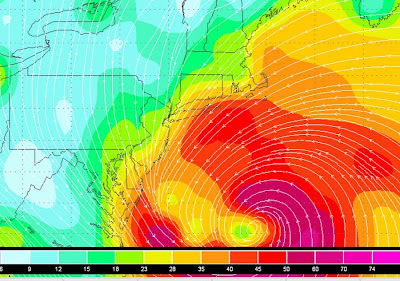 Sandy wasn't supposed to make landfall until late tonight... From what I'm seeing, she's pretty much ashore now!! Check it out for live updates on bird sightings related to this storm! I think we're reaching the point where people are focusing on the potential damages with these news sources..... Rather than how many rare birds Ontario could get (depending on the exact track)! Maybe time to go mobile?? State 2 - the chance for birds from the St. Lawrence Seaway! 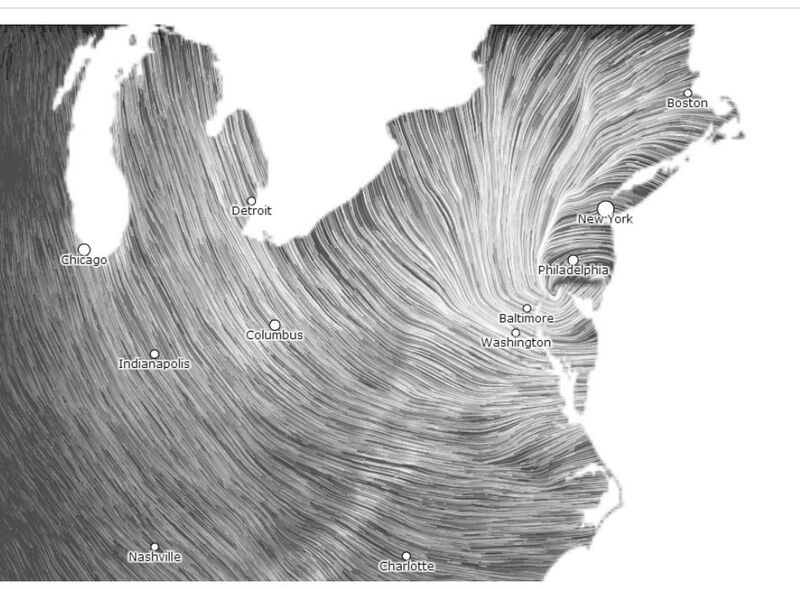 Maybe NE winds (by late today?) 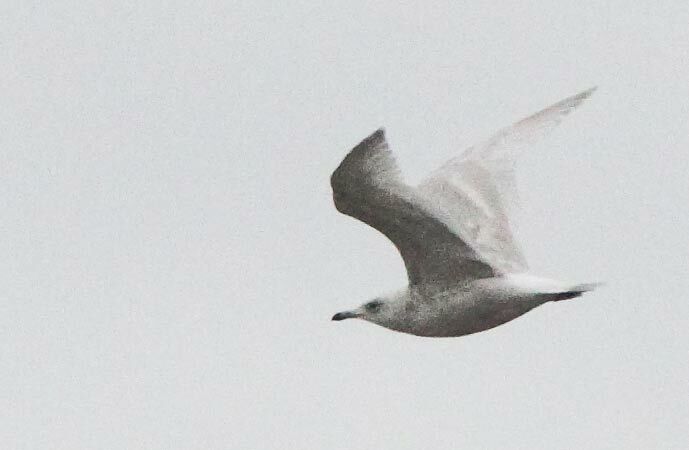 could have been blowing long enough to bring other interesting species like Gannets, more Kittiwakes, Manx Shear?? Or maybe some alcids?! Still have to watch and wait!!! 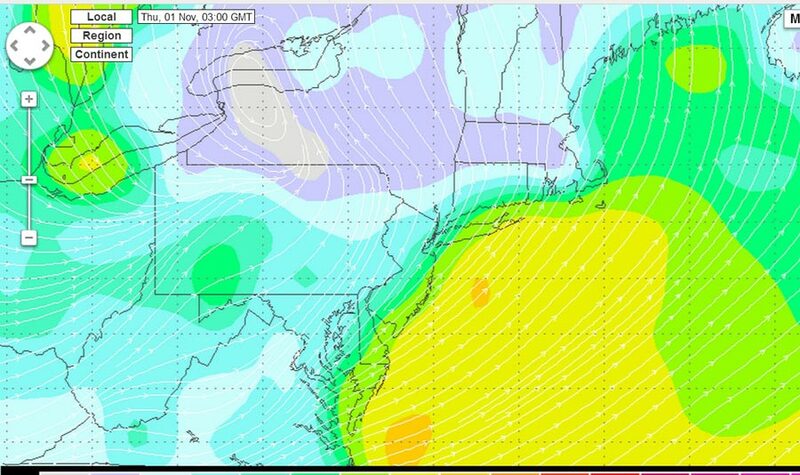 Time to start birding methinks,... Will get out a bit today... .
Frankenstorm... please come for a visit.. Please?? 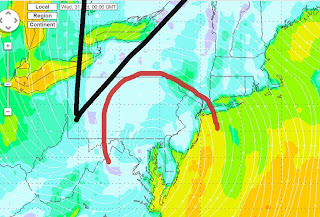 Red arrow --- NE winds created by the storm could bring us "other goodies" through the St. Lawrence river... Maybe an alcid or two?? Gannets? Kittiwakes? Great Cormorant? Everything to the EAST of that line will have DIRECT wind flow from the coast... 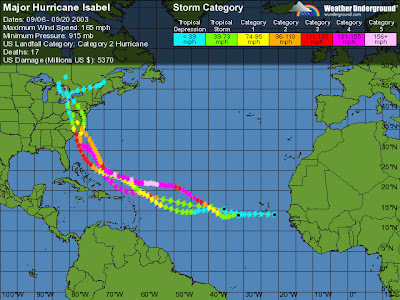 I would hope that this would give us some spectacular chances at some displaced birds form the storm... Some birds I would like - Royal Tern, Black Skimmer, FRIGATEBIRDS,,, maybe even a carribean swift??? So yeah... We are going to have to wait and see!!! 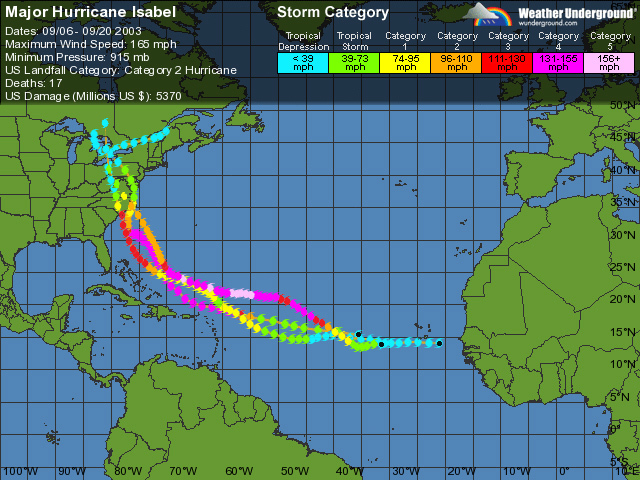 ------ Finally, this storm is pretty much UNPRECEDENTED... Regardless of exactly what happens, it is going to be an excellent learning experience on how weather systems can (or don't) displace birds..!!! Frakenstorm! Wat R U doing!? Come bak!!! Major news in the blogosphere !!!! 50dor: Day 16 - WEAK SAUCE !